Quantum of the Seas which is the first in her class is making maiden calls in the Philippines and is the largest cruise ship to ever sail to the country. This is a new experience for Royal Caribbean guests as the ship visits Subic Bay and then Manila. The Royal Caribbean cruise ship which brought new innovations when she joined the fleet in 2014 is making maiden calls in Subic Bay and Manila in the Philippines. The Subic Bay call took place on June 8, 2018, and a traditional plaque exchange ceremony was held. The call Manila will take place on June 9, 2018, and another ceremony will also be held. This is the first time any Royal Caribbean ship has called to the country. At 347m long, 168,666 gross registered tonnes, and filled with first-at sea features and technologies, Ovation of the Seas is the largest cruise ship to enter the Philippines. She has a total capacity of 4,905 guests staying in 2,091 staterooms and hosted by 1,500 crew. While Ovation of the Seas is in port at Subic Bay, guests will have the opportunity to discover and experience local attractions on Royal Caribbean’s shore excursions. Guests can marvel at the craftsmanship of antique and replicated mansions from the Spanish colonial-era during the Las Casas Filipinas de Acuzar Heritage Tour, travel through breath-taking river valleys then soak in the steamy Puning Hot Spring and watch a variety of marine animals perform at Ocean Adventure. In Manila, guests can choose to go for shore excursions such as the Tagaytay Tour and the Manila City Tour. During the Tagaytay Tour, guests will see the remarkable panoramic view of Taal Lake and Volcano and have the chance to visit a pineapple plantation to try sweet pineapples or buy souvenirs from the furniture and wood carving shops. Meanwhile, the Manila City Tour will present guests the opportunity to witness Roman Catholic and Spanish-colonial era landmarks such as the historic Basilica Manila Cathedral, San Agustin Church which has a museum run by the Augustinian order featuring antique vestments and colonial-era furniture and the centuries-old “The Walled City” that consists of fortified walls, church ruins and relics from Spain’s Conquistadores. 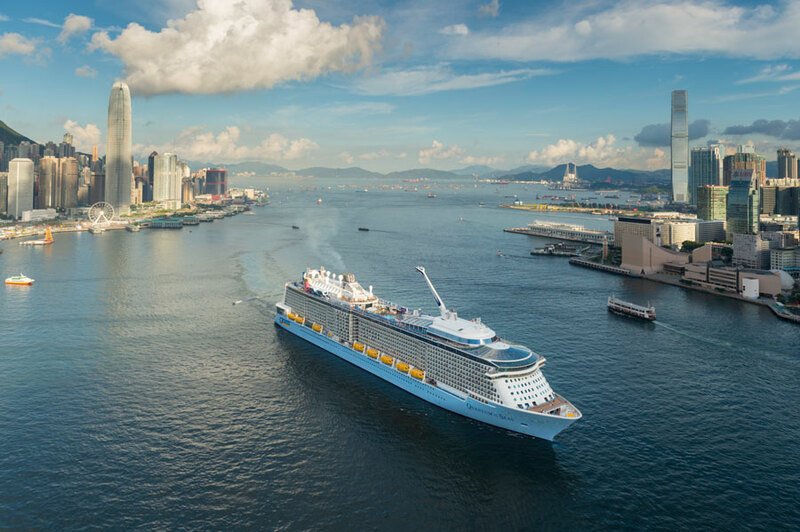 Highlights of Ovation of the Seas’ upcoming cruises are the 6-night cruise from Hong Kong to Tianjin with calls at Fukuoka and Shimonoseki on June 15; the 12-night cruise from Tianjin to Singapore visiting Okinawa (Naha), Taipei (Keelung), Hong Kong, Hue/Danang (Chan May), Nha Trang and Ho Chi Minh City (Phu My) on October 7; and the 14-night cruise from Singapore to Sydney visiting Perth (Fremantle), Adelaide and Hobart on October 19.